Bridge. It is a word with some utility. Guitar players use it. Dentists fashion it. Optometrists rely on it. Engineers design it. Pool player use it. Card players. Musicians. Psychiatrists. Sailors. Even art historians refer to Die Bruche.i And then there is the most common reference to it: a structure over a depression or obstacle. To the artist Anders Aldrin (1889-1970), bridges were a quintessential symbol. He drew them in pencil, drafted them in pastel and painted them in watercolor and oil. He found them in Asia, Europe and America. As a subject for art, he painted covered bridges, arch bridges, truss bridges, cantilever bridges, spandrel bridges, suspension bridges and cable-stayed bridges. Clearly, the artist found meaning in these useful structures. In a rare opportunity, Sullivan Goss was permitted to enter the artist’s storage vault, left untouched since the artist’s death in 1970.ii Within the vault, thirty-seven depections of bridges were found. As the artist left no written explanation for this work, we are forced to look at the work itself to understand the artist’s fascination. Perhaps he simply found them beautiful. We could look at how he composed them. In some images, Aldrin looks up at them; in others, he looks down at them. At times, he is level with his subject. In some of his paintings, he is perpendicular to the bridge. In others, he is parallel to the bridge. But he is never on the bridge. As to chronology, some of thse paintings were completed at the beginning of his career, others in the middle and still others at the very end of his life. Absent land, sea and sky, no other symbol is so repeated in this early Los Angeles artist’s oeuvre. As a symbol, “bridge” is laden with connotation. A bridge does more than provide a means to cross over a depression - it connects two things. It brings things together. In a permanent sense, it marries. Aldrin’s bridges, viewed individually and viewed together, create one more possibility. 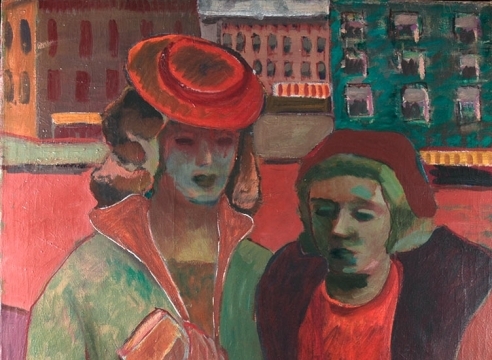 Perhaps the artist saw himself as the bridge, the one who connects viewer to subject matter. The one who brings two things together. The artist as conduit. 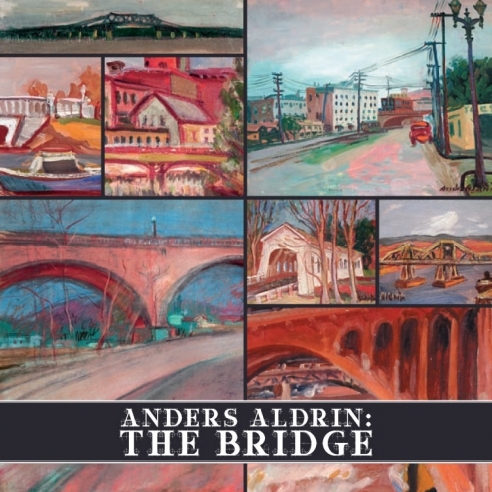 The artist as bridge: Anders Aldrin, the Bridge.